Established in the year 1978, we, 'Nutan Plastic Works', are one of the renowned organizations engaged in manufacturing and supplying a quality-assured range of HDPE Containers, Jerry Cans, Injection Moulding Dies, Pharma Containers, Plastic Bottles, Shaving Brushes and Feeding Bottles. Our product range includes Coconut Oil HDPE Containers, Wide Mouth HDPE Containers, Square Shaped HDPE Containers, Double Ring HDPE Containers and Stackable Jerry Cans. Moreover, we offer high quality Jerry Cans HDPE Containers, Plastic Pesticide Bottles, Pharmaceutical Plastic Bottles, Injection Molding Dies, etc. These products are manufactured using high-grade HDPE material, sourced from the reliable vendors of the market. We also employ cutting-edge technology and equipment for designing and manufacturing these products, in compliance with the international quality standards. Our product range is made available in varied specifications to meet the exact requirements of food sector, pharmaceutical & cosmetic industry, home appliances, pesticides, research labs, biotech & fertilizers and edible oil & lubricant. Moreover, the products offered by us are widely appreciated by the clients for their durability, compact design, crack resistance and flawless finish. We also provide customized products to our clients that are made as per the exact details specified by them. We have a sophisticated infrastructure, equipped with all the advanced facilities required for manufacturing a wide range of flawless products. The large production capacity of our manufacturing unit aids us in meeting the urgent and bulk requirements of the customers in an efficient manner. Our team of diligent and proficient professionals understands the market demand and ensures to manufacture the products in order to fulfill the same in the best possible manner. We have been able to attain and sustain a remarkable status in this competitive market. We have also been supported by a wide marketing and distribution network, which has helped us in garnering a vast client base for our organization. 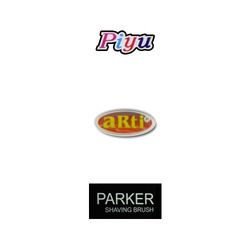 We deals our products in following Brands Parker, Piyu and Arti. 'Mr. Ashish J. Shah' and 'Mr. Jayant S. Shah', our mentors, are responsible for managing and coordinating all the business related activities in an organized manner. Owing to their rich experience, motivating nature and immense expertise, they have proved beneficial for the growth and development of our organization. Our strength lies in the innovation in our design and production, flexibility and the efficient ability to listen to our valued patrons' demands. We provide free samples to our clients, so that they can get the idea of the flawless quality of our products. With our client-centric approach, we have been able to add the names of reputed organizations like Balmer Lawrie Van Leer Ltd., Galentic Pharma (India) Pvt. 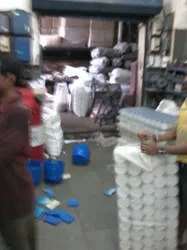 Ltd., Abhijeet Plastics (India) Pvt. Ltd. and Amar Remedies Ltd., in our list of clients. Manufacturing & Trading of Feeding Bottles, Plastic Feeding Bottles, Pharmaceutical Bottles, Plastic Bottles, Jerry Cans, HDPE Containers, Injection Moulding Dies & Products, Pharma Containers. Spread over a wide area of land, our infrastructure is appreciated for its standardized production. With the aid of well-equipped infrastructure, we have been able to take and complete the bulk demands in the most efficient manner. Our managing different units of our infrastructure, we have appointed a team of skilled professionals. Backed by a team of skilled professionals, we have been able to meet the precise needs of our valuable patrons. Boasting by a hassle-free working environment, we work to attain maximum customer approval and satisfaction. In compliance with the chemical, packaging and pharmaceutical industry laid norms, our professionals manufacture the offered range by using advanced machinery. by meeting the precise needs, we have attained a huge clientele across the nation. Balmer Lawrie Van Leer Ltd.
Galentic Pharma (India) Pvt. 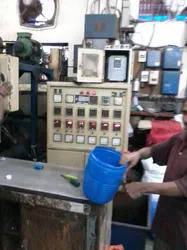 Ltd.
Abhijeet Plastics (India) Pvt. Ltd.
By following the customer centric approach and ethical business polices, we have been able to win the trust of our esteemed patrons. Quality assurance procedures, has helped us to provide our patrons with a defect free range. The offered HDPE containers & shaving brushes are available with is on various sizes, designs and patterns, which suit the requirements of our esteemed patrons.